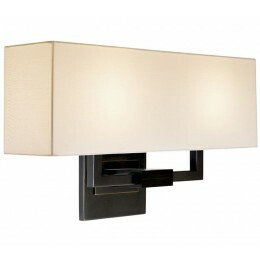 Hanover Small Sconce is a masterfully sophisticated, transitional design. Strong horizontal lines are built from open rectangular forms: a metal arm precisely lifts a rectangular linen shade, emanating solid presence and a quiet strength. 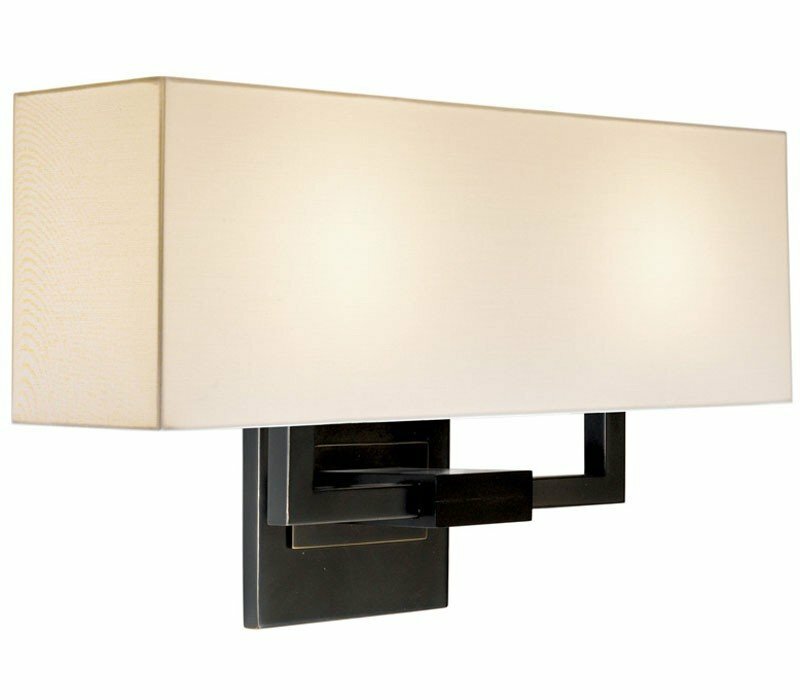 The Sonneman 3384.51 Hanover collection Sconce Wall Lighting in Black Brass uses Halogen light output and brings Modern style. This item is 10.5"H x 18"L x 6.5"D. The wattage is 120. The Sonneman 3384.51 requires 2 bulbs (not included). Additional Information: Shade-Natural Linen.